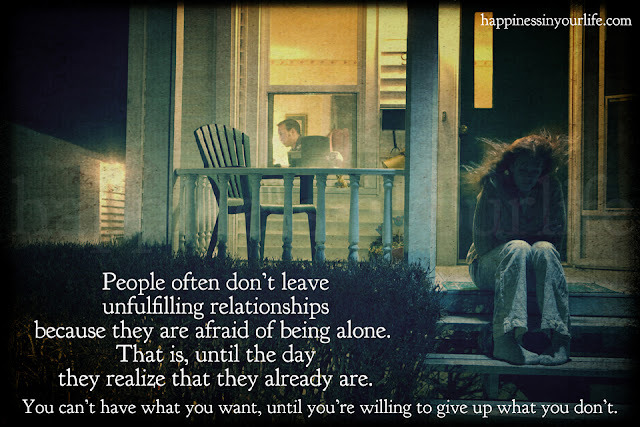 People often don't leave unfulfilling relationships because they are afraid of being alone. That is, until the day they realize that they already are. You can't have what you want, until you're willing to give up what you don't.